Last night when I couldn’t sleep, I did what any desperate, sleep-deprived mother would do. I browsed Facebook. And I came across this post from a dear homeschooling mama with six children. The names have been changed to protect the overwhelmed. In the interest of keeping this honest, I am about to unleash an unholy amount of screaming on my kids. I’m tired and sad and crabby, and no one is finished with their work yet. Megan is whining, and Michael keeps finding pens, and David seems to think if he isn’t stuck to me like glue then his life has no meaning. I just spent 10 minutes fantasizing about putting the big kids in school and the babies in day care. Now I have to stand over Nathan and force him to focus, keep the twins from killing each other, kill a butternut squash for dinner, pick up because it looks like a hurricane hit, and if one more kid comes and asks me a question I will either need to rip out their tongue or tear of my ears. I ached for her. But it made my heart smile, too, because as homeschoolers we tend to live behind a veneer of family perfection. We tend to share only the victories. We should rejoice in the accomplishments of our children and in all the gifts God gives us. But we also need to remember to keep it real because sometimes life blows up. Sometimes our kids are less than perfect. Sometimes getting through the day is a struggle, and keeping it real reminds us and others that God is not finished with us yet. Seeing this Facebook status reminded me that despite all the fantastic things she and her kids do, she has days that are just like mine. Because of the honesty of her post, I watched others surround her with prayer and encourage her. 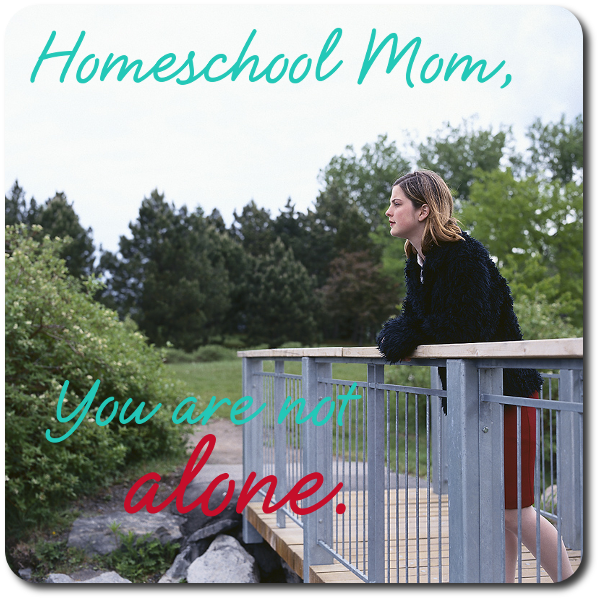 Through her sharing, I was reminded that I am not alone in my own homeschooling struggles. The chaos I see sometimes in my home also happens in the homes of others. Although I’m not in favor of regular whining or focusing on the negative, I am in favor of occasionally putting away the fake veneer and keeping it real. Melissa, so you were at my house today? and last week? and the week before? It is so refreshing to another weary homeschooling mom’s heart to see others keeping their struggles real. I get so burdened by “perfect” homeschooling families and very discouraged. Not that we can’t celebrate the victories but that we can also share the burdens and help one another bear them. And on that note, I am going to take a nap. Monday back to school after a holiday has done me in. Nice to have the reminder that this is just life with kids. Apparently I have been on FB too much – I was looking for the “Like” button on all your wonderful comments. So glad this was encouraging!! I need the regular reminder myself that life is not perfect and that we all have discouraging days, but we can bear one another’s burdens and be real!! Great read! Being a parent is definitely a tough job, let alone working and homeschooling. I think every parent has had their bad days and like everybody, we just need to let it out. Thanks for sharing this! This reminded me that I’m not alone with all these struggles! UGh… my daughter is 10 years old. I started homeschooling when she was in the 1st grade. We did so good that first year, other then she still didn’t learn to read. Since then I have had some medical issues, my husband had a heart attack and both of his parents have passed away in the last 6 months. We have lived in an RV, traveling around the US for about a year now. We were offered a full time job as apartment managers just over a month ago and took it. My daughter still does not read. She can make out small words, but she just does not want to do it. I have tried sticker charts, rewards and bribing. Please help me figure this out. She is now terrified because I said that we may send her to public school. As soon as we get our first full check (won’t come until December) I was hoping to hire a tutor a couple days a week and see if it is just mom she doesn’t want to learn from. Please help me if you can.